1. Carnitine is a kind of B-class vitamin. Owing to its similar structure as amino acids, some people therefore also classify it as an amino acid. Its main function is to supply energy through facilitating the transport of long chain fatty acids. This prevents the fat accumulation in the heart, liver and skeletal muscle. It can control diabetes, fatty liver, and the fat metabolism disorder in heart disease. Taking carnitine can reduce damage to the heart. It can lower the level of blood triglyceride and also have certain role in boosting weight loss. Carnitine can further enhance the antioxidant effect of vitamin E and vitamin C.
2. Carnitine deficiency is sometimes congenital such as genetically deficiency of carnitine synthesis with symptoms including heartburn, muscle atrophy and obesity. Men need more carnitine than women. Vegetarian are more prone to get carnitine deficiency. 3. If the body has sufficient iron, thiamin, vitamin B6, lysine, methionine and vitamin C, carnitine would not be lacking. Carnitine-rich foods contain meat and offal. 4. Synthetic carnitine is divided into three forms including L-body, dextral and racemic with L-carnitine having the best efficacy. 5. 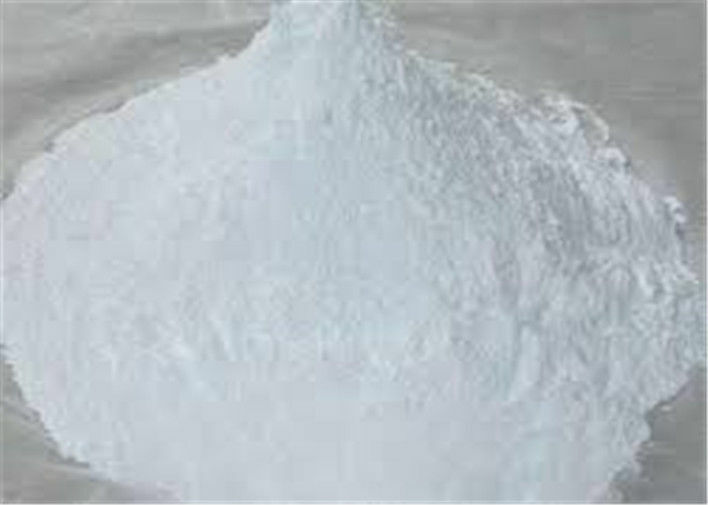 L-carnitine is a kind of compound with various kinds of physiological activities. Its major function is to promote the beta-oxidation of fatty acid as well as regulate the acyl ratio inside mitochondrial to affect the energy metabolism. L-carnitine can participate in the transport of branched chain amino acid metabolites, and thus promoting the normal metabolism of branched chain amino acids. In addition, L-carnitine can take effect in the elimination and utilization of ketone bodies and play a role of biological antioxidants for scavenging free radicals, maintain the stability of the membrane, improve animal's immunity and the ability of anti-stress and disease resistance. 6. L-carnitine is not a weight loss drug. Its main role is to burn fat which is not the same thing as losing weight. To use L-carnitine for losing weight, in addition to burning fat with its help, a lot of movement is still the key for weight loss; instead carnitine only play a supporting role. If exercise is not large such as just dieting, weight loss would not be boosted by taking L-carnitine. 1.L-carnitine is a dietary supplement newly approved by China. It is mainly used to strengthen the soy-based baby food and promote the absorption and utilization of fat. D- and DL-type have no nutritional value. China states: it can be used in biscuits, drinking fluids and milk drinks with usage amount of 600 ~ 3000mg / kg; for solid drink, drinking liquid and capsules, the amount should be 250 ~ 600mg/kg; the amount of milk powder is 300 ~ 400mg / kg; the amount of use in infant formula is 70 ~ 90mg/kg (in terms of L- carnitine, 1g equivalent 0.68g L- carnitine tartrate). 2.Used in pharmaceutical, nutrient health food, functional beverages, and feed additives. L-carnitine, as a new kind of nutritional supplements, especially as the additive of baby formula, athlete food, and food for losing weight and bodybuilding, has been currently widely applied in functional foods. The commercialized L-carnitine is mainly its hydrochloric acid salt, tartaric acid salt and citric acid magnesium salts. L-carnitine plays an important role in the baby’s metabolism process of taking fat as a source of energy. Owing to that the weak ability of baby of de no biosynthesis of L-carnitine can’t meet the demands of its normal metabolism, it must be ingested exogenous L-carnitine base in order to ensure the best in body fat oxidation state and provide enough energy to maintain normal body temperature of the baby. In addition, L-carnitine also has certain effects on boosting infant growth and development and improving metabolic balance. So it is necessary to strengthen the L-carnitine in infant food, especially in soy-based infant formula. Because of the low carnitine content in soy, the limit of L-carnitine content in infant formula food is 70 ~ 90mg/kg in China. Now China has carnitine fortified infant formula milk that has entered into market. Decombaz J. et al have reported that after fierce exercise, the free carnitine content in human muscle tissue will decrease by 20% and the supplemental of carnitine can alleviate the fatigue of the body because L-carnitine can promote fat oxidation of the body as well as provide sufficient energy which is good for the sports endurance as well as explosiveness improvement. If L-carnitine is used in combination with octacosanol, then the effect of improving the body strength would be multiplied, manifested as the systemic muscles relaxation, improved explosive power and endurance, and increased basal metabolic rate as well as improved nutritional status of the myocardium. Commonly used method is to add L-carnitine to athletes’ beverage. In the early 70s, there had been patent reported of using DL- carnitine for the prevention and treatment of obesity. Subsequently, because of the negative effect, DL-carnitine was replaced by L-carnitine. Practice has proved that L-carnitine fortified food has good effect on treating the fat metabolism disorder caused by carnitine deficiency in vivo. It can prevent obesity and fatty liver due to the accumulation of lipids in the liver and muscle fibers. Kuwata thought that obesity patients due to lack of exercise have large amount of accumulated fat and have low carnitine biosynthesis capability. Through ingestion of L-carnitine, they can effectively convert excess body fat into energy to be released, thus playing a role in prevention and treatment of obesity. Thereby the lipid-lowering food with L-carnitine as the main component becomes very popular in the European market.